Conflict, love, romance, scheming and lies this week of Big Brother The Chase had it all. HoH Selly shocked everyone in both Houses when she chose not to reunite The Chase lovebirds Cleo and Hakeem during the House swap. Instead it was Angelo and Elikem that were sent to the land of the Rubies while Beverly and Biguesas joined the Diamonds. As if that wasn’t enough, Selly also tried to stir up some beef with Pokello by pouring her drink all over the Zimbabwean. 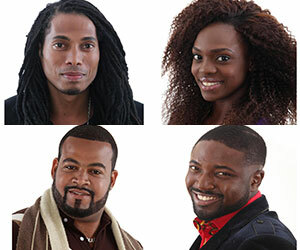 Diamond House’s newest residents Hakeem, Beverly and Biguesas joined forces and plotted against their former Housemate Natasha, who they feel is a master manipulator that should be ousted from the game. LK4 claimed to have hung up his player badge for Koketso but a few days later he fessed up to still having feelings for Beverly after he was outed to Biggie by Maria. But the Ruby love triangle was finally resolved thanks to the House swap; which has left LK4 and Koketso tighter than ever, even a pair of pliers could not tear them apart. Koketso joined LK4 in the list of Eviction Nominees thanks to Selly who put her in the place of Biguesas’. Like Biguesas, Bolt also dodged the bullet thanks to his girl Betty who put her arch nemesis Feza in his place instead. Clearly Betty has enjoyed all of the bumping and grinding that she and Bolt have been up to and is not ready to let go of the married Sierra Leonean anytime soon. Dillish and Hakeem rounded off the Nominees list. Speaking of Hakeem, he and Cleo were the personification of cuteness on their first official date and they sealed the deal with a passionate first kiss. Kenyan beauty Huddah and the always entertaining Denzel became the first Housemates to bid farewell to The Chase. As for today's Evictions it's anyone's guess who Africa will send marching home. It will b Lk4 and feza or dillish.